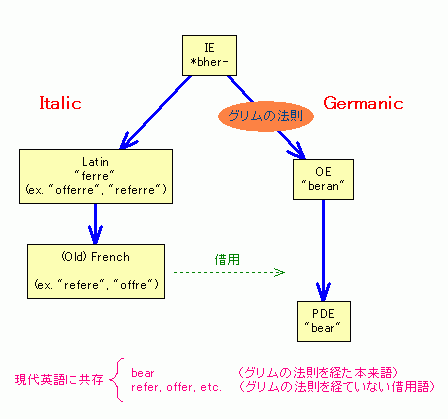 The analysis proposed here assumes that the status of the final -e as a grammatical marker is stable in the plural, for both diachronic inflexional types. Yet in maintaining the syntactically based strong - weak distinction in the singular, -e is no longer independently viable. As a plural signal it is still salient, possibly because of the morphological stability of the category of number in all nouns, so that there is phrase-internal number concord within the adjectival noun phrases. Another argument supporting the survival of plural -e comes from the continuing number agreement between subject noun phrases and the predicate, in other words a morphologically explicit opposition between the singular and the plural continues to be realized across the system. ・ Minkova, Donka. The History of Final Vowels in English: The Sound of Muting. Berlin: Mouton de Gruyter, 1991. ・ Moore, Samuel. "Loss of Final n in Inflectional Syllables of Middle English." Language 3 (1927): 232--59. 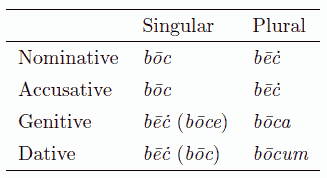 Grammatical and logical anomalies often arise through the blending of two different constructions.